If you are still unsure what type of piano you have that is needed for moving, that is fine, one of our staff will work with you to configure which service will work best for you. Spinet: The spinet piano is widely the most common piano for it's size and portability and is great for beginning musicians. Console: The console piano is slightly larger than the spinet. These pianos work as a decorative piece as well as giving a full sound that you wouldn't normally get with the spinet piano. 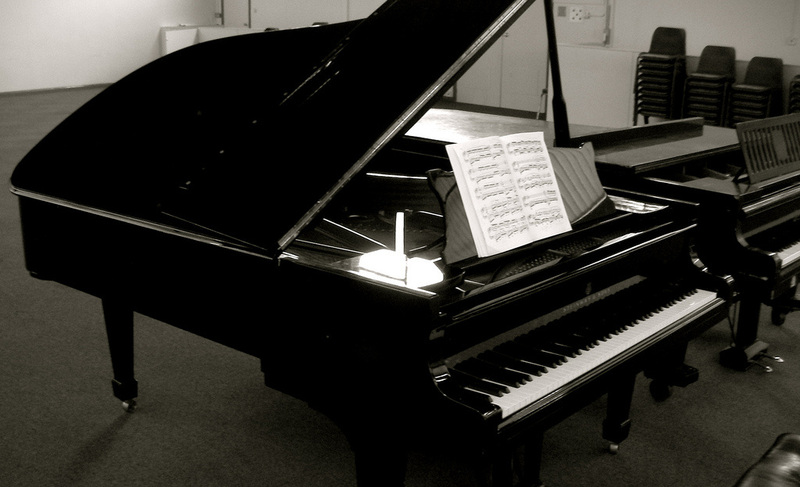 Studio: This is the most common piano that you will see in music schools and traditional music classrooms for its dynamic and very appealing sound. Upright: This is the master of all vertical pianos, usually around 60 inches tall and just under 60 inches wide. This vertical piano is extremely durable and maintains it's true tone for years to come. Petite Grand: The smallest of the horizontal piano family ranging from 4 x 5 feet in width and length, yet don't be fooled by it's size at is produces powerful sound. Baby Grand: This is the most popular of the horizontal piano family with it's size being between 5 feet wide by 5.5 feet long. It is popular for both it's visual appeal and dynamic rich sound tone. Medium Grand: This piano is larger than the baby and petite grand and is just under 6 feet long and wide. Parlor Grand: The parlor grand piano is 6 feet by 6 feet or slightly larger and is also known as the living room piano. Semiconcert (Ballroom): The semi-concert otherwise known as ballroom piano is usually just under 7 feet to 7 feet long and wide. Concert Grand: This is the largest grand horizontal available at 9 feet. With it's long strings, it's tone and richness of sound cannot be matched. We have moving services available for every brand of these pianos. If you're piano is different than the ones specified here, please let our staff know when you speak to them and we will be sure to accommodate your needs. If you are interested in purchasing a piano you may speak with our authorized piano vendor. In addition to piano moving services, we are also able to move organs.